Anyone who spends a majority of their time online knows that technology can be a blessing and a curse in helping us get our work done. It’s wonderful when it works, but can be devastating when it doesn’t. A few months ago, I had a meltdown when my task management software was down. I had no idea what I was supposed to do that day because my entire to-do list rested on a single platform. It felt like I was entering an alternate universe where chaos ruled and productivity didn’t exist! I realized that I was placing too much weight on my beloved technology and not enough on simple habits for getting work done. Therefore, I’ve spent the past few months adjusting my strategy for success. This one is key, but is often misunderstood. Goals can be anything from, “I want to retire next year” to, “I want to get to inbox zero by 5pm.” However, they can also be much smaller, more specific, and highly actionable. For me, daily goal setting is the only way I am able to get anything done. If I don’t do it, I feel overwhelmed and paralyzed by looming deadlines. To avoid this, I spend an hour each morning going through all my emails and setting up a task for each thing that needs to get done. Even things like follow ups and calendar alerts get their own task. I put the urgent things at the top of my list and the less urgent things later and space out the tasks throughout the week, providing clients with realistic turnaround times and meeting deadlines. I don’t allow any kind of social media alerts or emails to bother me while I’m doing this – that only leads to feeling overwhelmed instead of organized. Taking the time to start out each day figuring out exactly what you need to do instead of getting sucked in to email replies and big projects will make everything you do more intentional and you’ll find that you get more done. If this means getting up earlier, do it. Your boss, clients, and stress-levels will thank you! As you can see, I use the first part of the day for emails and goal setting. Then, I tackle a big, hard project in the morning, like blog editing and scheduling. This takes a lot of brainpower for me and I’m most alert in the morning, so I do that first. Then, I set aside more time to check emails and get back to people. I almost always have at least 2 hours of calls per day, and I try to get them out of the way in the morning. The more menial tasks go in the afternoon. While everyone is different in terms of how their bodies work best, one thing that cannot be avoided is scheduling breaks. And I’m talking about real breaks, not “let me check Facebook” breaks. This gives your body and mind time to rest and rejuvenate so you can give your best for the rest of the day. Even if you’re a freelancer or run a company on your own, you can find ways to hold yourself accountable, or better yet, get someone else to hold you accountable. If you work in an office (or even if your team is remote), daily “stand ups” are ideal. These meetings last 10-15 minutes and happen among your immediate team members to talk about what you completed yesterday, what still needs to be done, and what you’ll do next. They can happen either at the beginning or end of the day, and they’re called stand ups because they’re meant to be short and sweet. If you work alone, find a friend or even a family member to check in with. If you can’t find someone you trust to make sure you’re getting things done, try creating your own accountability tricks, like allowing yourself a glass of wine only if you achieve your daily goals, getting a massage if you get through a week without a crisis, or some other form of rewards system that helps you feel personally accountable to for projects. As someone who works with a lot of busy and important people in the social media, marketing, and PR world, I’ve learned that it’s not about the tools that make a person productive; it’s all about the habits. Try these and let me know what you think. As a bonus, throw in some meditation or exercise and see what that does to help you kick it up a notch! 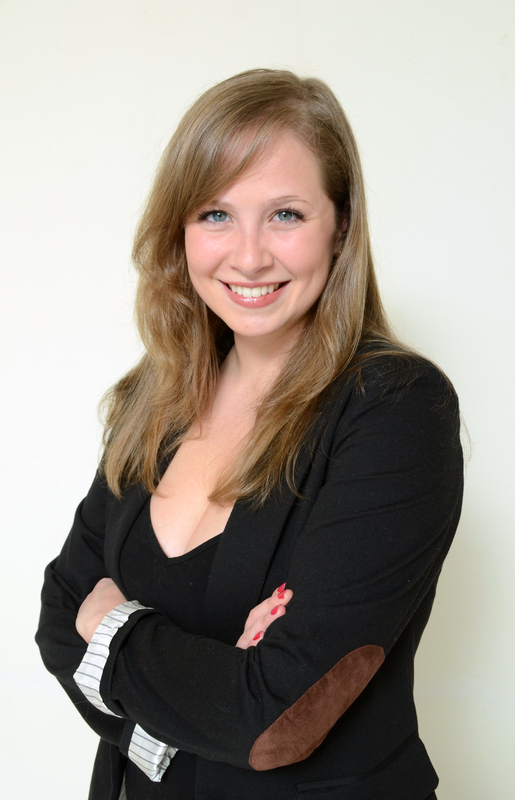 Jess Ostroff is the Director of Calm at the virtual assistant agency, Don’t Panic Management. She has worked with some of the digital marketing industry’s most well-known thought leaders, including Jay Baer, Ann Handley, Brian Clark, and Gini Dietrich. When she’s not keeping her team organized and her clients happy, you can find her trying delicious recipes, going to see live music, and finding new places to taste wine. Its a good practice to adopt the productivity practices in a more efficient and accessible way. Rather than deploying tools it the habits are being performed, then the effectiveness is more to be praised. But its not possible at all point of time that only the habits are the best part rather the tools also keep importance where ever necessary to make out the things go in the right path and decision. In order to gain the productivity, one tool that I consider the most recommended is the cloud based task management software from Replicon ( http://www.replicon.com/olp/task-management-software.aspx ). The hassle free tool is all featured with the user friendly and calendar based interface which makes it an intuitive tool to work with. Thanks for the fabulous tips, Jess! As an aspiring PR pro I'll take all the help I can get. Lately, my method involves lots of post-it notes all over my planner. And I loved what you said about taking meaningful breaks rather than an "I'll check my facebook" break. This was a great reminder to not become too reliant on technology. @Holly Jefferis Holly, I once read a tip that involved PostIt notes. Write what you need to accomplish that day on a PostIt. If the list is too long to fit on one note, you need to re-prioritize your day, because realistically, you won't be able to get it all done. When I'm really busy, that little trick helps me be realistic about my time and how much I can actually get done in a day. Hope that helps you, too!! @HeatherWhaling @Holly Jefferis I used to use Post-Its to get things done. It was great but ended up taking a lot of time to prepare and then I didn't have a digital list of what I had accomplished. It was fun though - I would use different colors for different clients and put one task on each note and put them above my computer. When I finished the task, I would rip it off the wall and throw it away. Very rewarding :) I also heard about the method that Heather mentioned, and I think it's great for bigger goals... just not always for smaller tasks! Great tips Jess. I still struggle with scheduling breaks. Yep, you're right, we don´t have to depend 100% on technology. We just need a system and healthy habits. Thanks for sharing. @corinamanea It's hard, but definitely pays off in the long run :) Thanks so much for reading! I agree with these advices, but I'd prefer to use a tool (such as Bitrix24, or any project manager for that matter) that will organize my goals and remind me of daily accountability. A little digital help doesn't hurt. At least this is what keeps me on track and successful with my remote job. I've heard so many times that blocking/chunking your time is a fast track to productivity, but the spastic way in which I work often prevents me from doing that. This is a great reminder to try it again! @ericajmoss Erica, I'm with you. 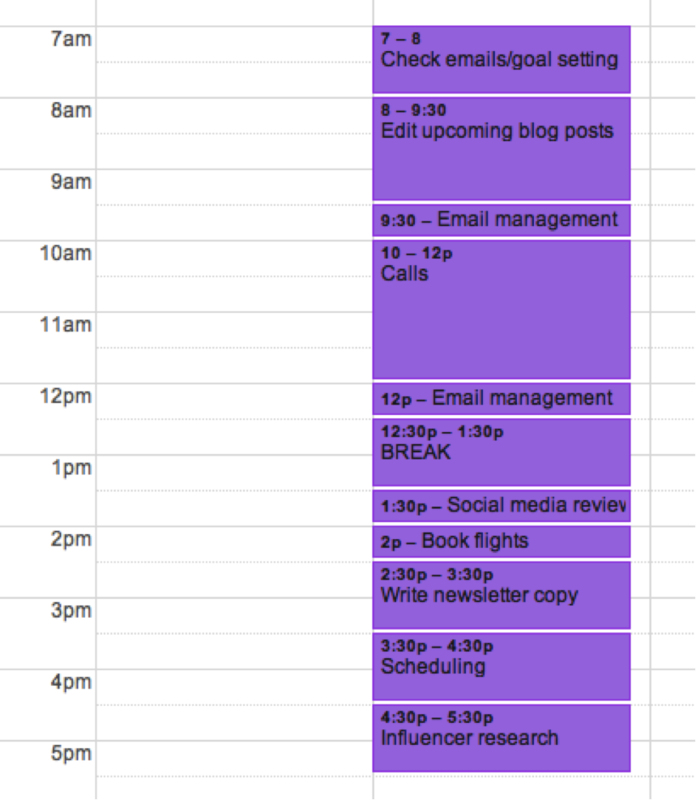 I don't do a great job of chunking out my day, but when I do, it always works. I need to be better about trying it more frequently. Maybe even just doing it twice a week for starters! @HeatherWhaling @ericajmoss I was with both of you for a while, but I realized that doing many things at once was causing me to take longer on everything, instead of just doing one thing at a time. Multitasking is bad! I sometimes have to take a deep breath and just tell myself that, keeping the "one thing at a time" mantra in mind. It does take practice, that's why it's a habit :) Keep me posted if you try it!